Toronto's Barrick Gold Corp. is basking in a bull market for bullion, and no one is more keenly aware of the golden opportunity than chief executive Greg Wilkins. For at least a decade, shares of the world's largest gold producer pretty much went nowhere as production plateaued and a controversial hedging program of selling production forward – a genius move when gold was tanking through the 1990s – eventually turned off investors as the gold price climbed back up. And now as the precious metal hovers near $900 (U.S.) an ounce and appears headed for four-digit territory this year, the bullion business is booming. Barrick, which celebrates its 25th anniversary this year, is catching the wave, rising 14.5 per cent since the start of 2008 despite a recent market correction. Barrick stock closed in Toronto at $47.79 (Canadian) yesterday, down 28 cents. 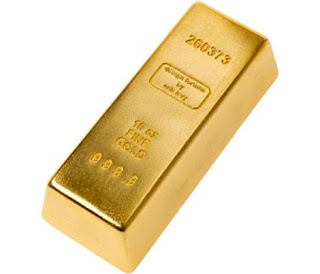 Spot gold in New York rose $1.30 (U.S.) to $880.80. "It's excitement about the gold business. It's been a long time coming but it's finally here," Wilkins told the Toronto Star in an interview at Barrick's Bay St. offices. It sure didn't pan out that way overnight. Wilkins points to a step-by-step approach he has taken since he took over five years ago to turn things around and return Barrick to its former glory as the go-to gold producer in the tradition of flamboyant founder and chair Peter Munk. It's all happening amid a time of soaring costs to extract the coveted ore from the ground and the scarcity of new deposits that has made it a nightmare to replace lost production for the players in gold's big leagues. "We needed to deal with the hedging, we needed to get some growth back into the company and to re-establish credibility in the market place. We needed to get bigger in order to compete in a value-added way – not just to be bigger for size – and we needed to get back on a positive trajectory," he explains. The biggest part of getting bigger involved scooping up old Vancouver rival Placer Dome for $10 billion in 2006. But Barrick has made some smaller acquisitions along the way, including the recent purchase of Arizona Star Resource Corp. that gives it control of one of the world's largest undeveloped gold and copper projects in Chile. In fact, it is so big now that Barrick's market capitalization of $41.6 billion vaults it beyond that of household names such as Home Depot, Caterpillar and John Deere in the U.S. And it is a giant on the Toronto Stock Exchange, with fewer companies larger except for the big banks, Manulife Financial and Thomson Corp.
"I think it's great. It's just icing on the cake," Wilkins says with a smile. Long-time gold bug and analyst John Ing of Maison Placements Canada chalks it up to "the marvels of $850 and $900 gold. It wasn't anything sterling or any nifty manoeuvres on their part." But one of the big knocks against the senior gold companies is their flatlined production, since gold is so hard to find and expensive to mine these days. Wilkins boasts of Barrick's "unrivalled" pipeline of projects including the opening of Buzwagi in Tanzania next year and Cortez Hills in Nevada in 2010. But some analysts aren't so sure about other projects down the road, such as the Pascua Lama gold-silver deposit on the border of Chile and Argentina. It was supposed to be in production this year but has instead hit numerous permit and cost roadblocks. The price tag to develop the 17-million-ounce project has ballooned to $2.5 billion. "Yes, they have growth, but they also have rising costs and these projects are capital intensive and a way's away," says analyst Barry Allan of Research Capital Corp.
Pascua Lama is "an iffy project that's technically difficult and it's in the multi-billion dollars to build. In the old days, these things would only cost a couple of hundred million. I seriously doubt it will be built in this cycle," Ing notes.